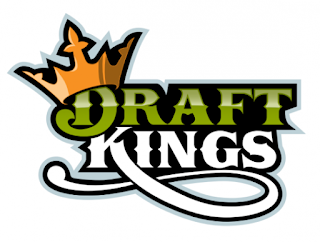 We are starting a new series here on We Talk Fantasy Sports, and it's called DraftKings Wednesdays. I've been joining daily games (free entries) on DraftKings over the past few weeks, and found myself doing fairly well. I figured I would throw some cash into my account and see if I can win some real money. So every Wednesday I will be write about that days most valuable options, players to fade and teams to stack. I will update the post every Thursday to let you know how my team did and if I won any cash prizes. Today there are a ton of day games, 11 in total with only 4 night games. I'm not a big fan of day games, especially on a travel day, as players seem to just want to have the game end quickly. For this reason I joined a $5 game where the top 1,200 players win $10. I feel confident I can finish in the top 1,200 and turn my $5 into $10. We've seen Michael Pineda look like Cy Young this year and we've seen him look like a total bum. He made a start against the Royals back on May 15th and he only lasted 5.1 innings as he allowed 10 hits and 5 runs while striking out 1. This was the very next start after striking out 16 batters. I'm just hoping his pitches are moving today and gets a ton of swing and misses against the Royals offense. This is the first of many starts for Syndergaard against the Philadelphia Phillies and I think the offense will struggle against him. He's a power pitcher and as long as he keeps Chase Utley and Ryan Howard in the park, he should have a great game. Martin has had 19 at-bats against Jeff Samardzija in his career and has hit him pretty hard. Of his 6 hits, Martin has 3 doubles and a home run. His OBP against Samardzija is .409. Is there a hotter hitter in the game than Prince Fielder? Over his last 5 games Fielder is 14/24 with 3 doubles, 5 home runs, and 15 RBI. Oh yeah, he's also 5/9 off of Carlos Carrasco with a double, home run and 5 RBI. In 35 career at-bats against Phil Hughes, Dustin Pedroia is hitting .314 with 3 doubles, 3 home runs and 10 RBI. This is simply just a case of riding a hot hitter. Josh Donaldson has never faced Jeff Samardzija in his career but he is 6 for his last 7 with 2 walks, 3 home runs, 5 RBI and 8 runs scored. Chris Archer is a good pitcher, but I wanted a cheap shortstop to save money for the rest of my team. Brad Miller has two hits off of Archer is 6 career at-bats and they both were home runs. Carlos Gomez is struggling but I love the combination of speed and power he brings to the plate. Of his 3 hits off of Ryan Vogelsong, he has a triple and a home run. Andrew McCutchen has never faced Brad Hand in his career, but he's starting to get hot with 4 home runs in his last 10 games. He's also increased his batting average from .230 to .255 over that span. Over the last 3 years McCutchen has hit .357 off of lefties and he happens to face one today. I normally would never recommend ever drafting Curtis Granderson, but he's cheap and has 3 home runs off of Sean O'Sullivan in just 10 at-bats.